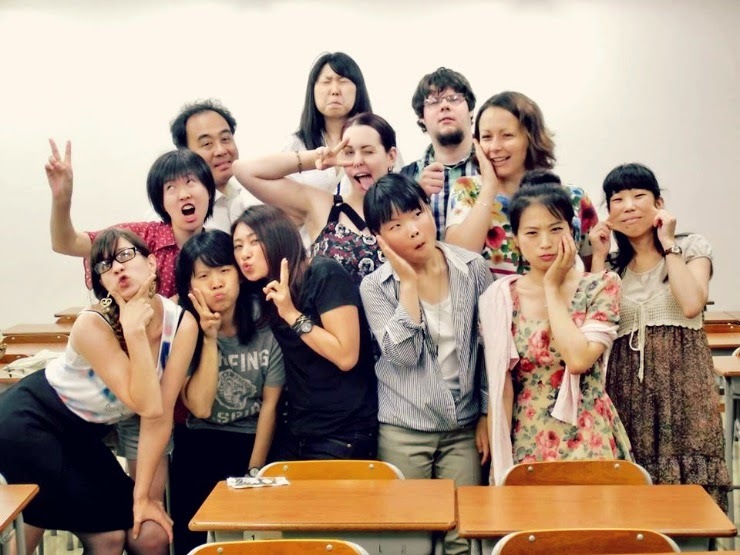 Especially the experience of being a graduate student in Japan was very new to me; last time I was enrolled in university here as only to take Japanese language courses, foreigners majoring in a Japanese university is still quite rare, at least here in Tsukuba. I have to say I really enjoyed Tsukuba although everyone is complaining how there is nothing here. They have no idea. My last university, Tokai, on top of a mountain in Kanagawa prefecture, THERE was nothing. Here is plenty. We have shopping centers (yes, plural! ), a load of restaurant, supermarkets, drugstores, everything one needs in daily life and more so I did enjoy having all that in a very close distance to myself. 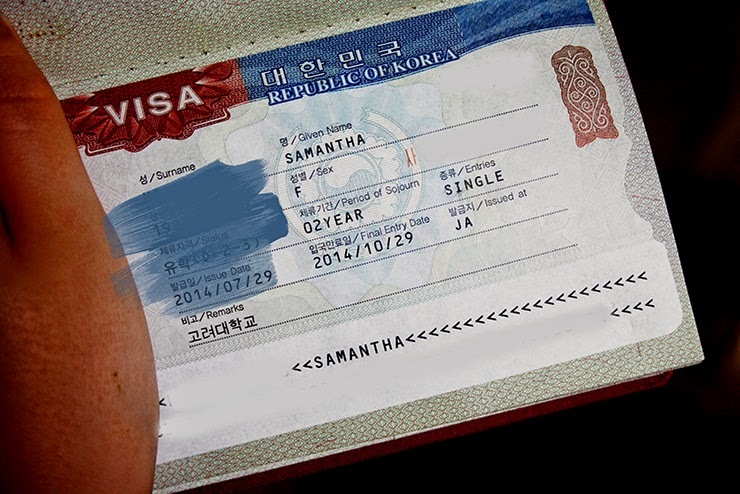 Finally received my visa for Korea!! I got a 2-year-student visa as I am enrolled as a graduate student in Korea University too, although I will not graduate from there (there is a limitation to everything, two degrees are already enough work..) I am so excited for Seoul!! This is the first time abroad that I will actually live in a big city. Although I have always been in travel-distance to Tokyo I never lived there (and thank god for that, my worst nightmare..). I did study in Berlin of course but the last years I did mainly study in "rural" areas like Tokai University (on top of a hill, cannot stress that enough, ON TOP. No bus. ), Bonn or Tsukuba so I am so excited to be in Seoul!! I'm also afraid because my Korean is almost non-existent but well... it will work somehow. Has to, right? 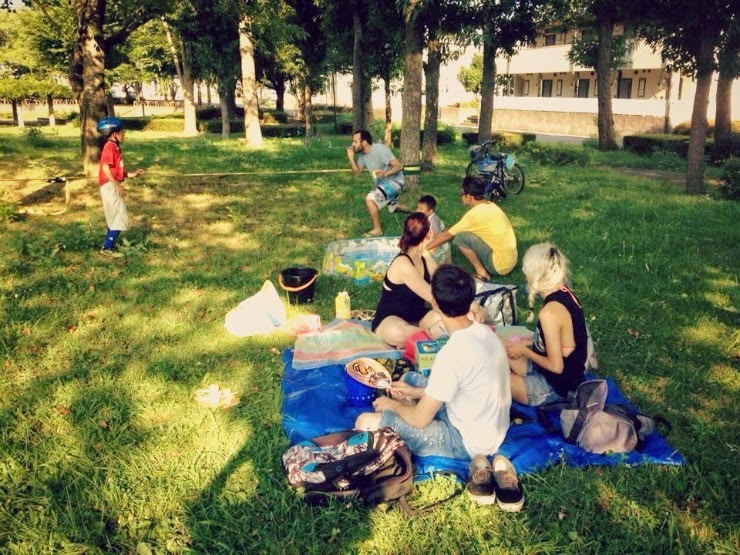 Since it is the last week and all the Japanese in our program are moving to Germany soon we did have a lot of "goodbye parties" to spend some last time with each other. 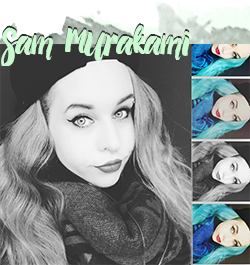 Although I did not have many close friends herre it is always a bit hard to completely leave a place for something new. 女子会 (Joushikai) Girl's night with all the girls from my graduate program! From left clockwise around the table: Haruka, Boseol, Sabrina, my humble self, Yurim, Yuka, Nicola and Chihiro posing in front like a pro. As you can probably tell from the picture it was INCREDIBLE HOT inside Yuka's room. She does not own an aircon and therefore we had 40°C at least in that room, especially with all these people it was unbearable. After 1 hour we moved to Sabrina's room because all of us were dying out of a heat stroke (but Yuka has the biggest room since she lives alone in a twin room... but well.) This was actually some hours before I got incredibly sick; we did eat a lot of different stuff and with the heat I am not surprised now that my body was collapsing. We also had a little party with our teachers after the last seminar with some food and some last talks before we all will leave for Germany and Korea! I am really sad to loose such great teachers, especially Aizawa sensei which you see here on the left has been a great supporter throughout the whole stay in Japan I will definitely miss him! 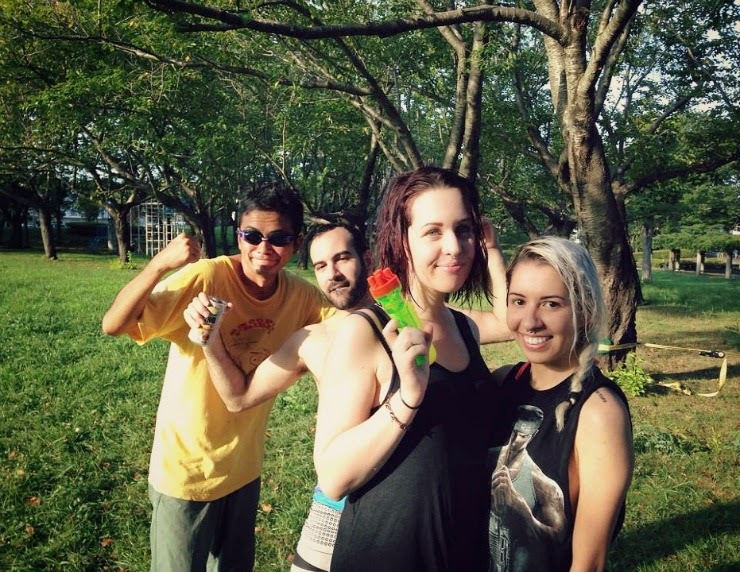 Alsooo on Sunday my friends and I were having a little water war! 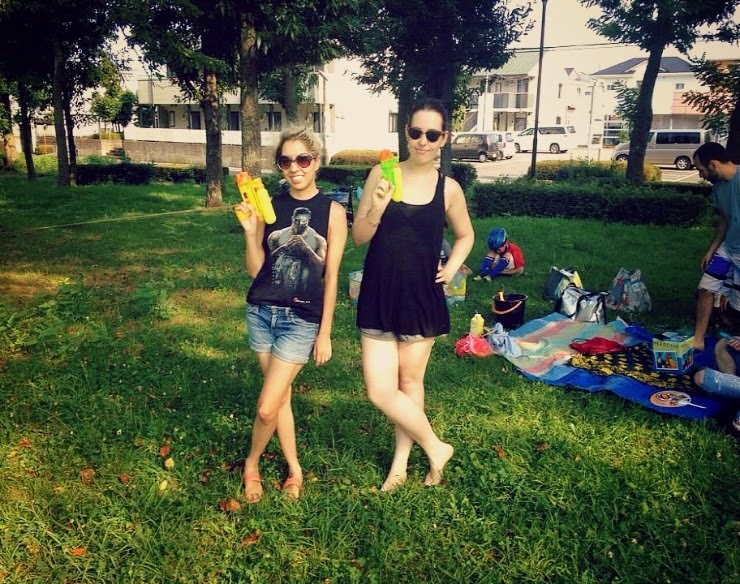 We brought a pool and water pistols, ice cream and other fun stuff to the nearby park and we're just chillin' to escape the extreme heat and I have to say it worked out pretty good! Thanks to everyone who supported me that far and thanks for the good times!